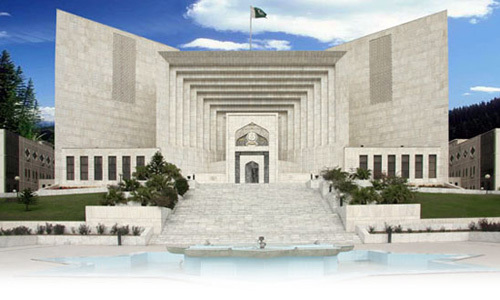 ISLAMABAD (92 News) – A three-member bench of the Supreme Court of Pakistan dismissed a plea seeking the abolition of death sentence on Monday. The bench head by Justice Saqib Nisar heard the petition. Zafarullah Khan advocate, in a petition filed in 2011, prayed to court to reprieve the sentence of 8,000 prisoners on death row. The SC remarked that the petition does not come under Article 184(3) of the Constitution.